WHY YOU NEED A LOCAL PLUMBER? WHAT DO PLUMBERS CHARGE IN THE CENTRAL COAST? It can be quite stressful to deal with a plumbing problem, like a burst pipe or a clogged toilet. However, hiring a local plumber can relieve you of that stress and anxiety. Not only will they be able to address the issue quickly and professionally, they can also ensure that your plumbing problems won’t happen again for a long time. If you need professional house plumbing services in the Central Coast, you can count on Wide Plumbing to make sure that the job gets done right! Hiring a local plumber has quite a few advantages. One, you can expect a quicker service. That’s because local plumbers know the lay of the land inside and out, as opposed to a company that’s located outside your region. When your plumbers know what to expect, they will also accomplish the task faster and more efficiently at that. Another good reason why you should definitely hire local plumbers is that you can cultivate easy and lasting relationships with them. They know the geography but more than that, they also know the culture of the different communities within your area. This makes it easier for you, as the customer, to trust your local plumbers to take care of your house plumbing woes. Finally, hiring a local plumbing company will make sure that you get the most competitive and accurate pricing. They know the going rates in your immediate area and they can offer you a more accurate cost estimate. They are also more readily available to attend to your plumbing emergencies at any time of the day. 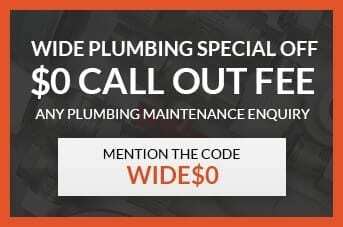 If you’re looking for a local plumber in the Central Coast area, you can trust Wide Plumbing to perform a quick and reliable job with utmost professionalism and fair pricing. Simply call (614) 392 7731 or email wideplumbing@info.com for more information about our wide range of house plumbing services and rates. Blocked Drains. This particular problem can be caused by a lot of things. Tree roots, an accumulation of debris in your house plumbing system, or even a collapsed pipe. No matter the reason for your blocked drains, it’s imperative that you have them fixed immediately by a local plumber to prevent bad odours, stagnant water, and other worse problems from happening. Overflowing Toilet. An overflowing toilet can cause a lot of problems, the least of which are unpleasant odours and the backflow of disgusting, dirty water. It’s certainly not something that you want to happen in your home and leave unattended. Call your trusted local plumber and have them fix the problem quickly and efficiently. Dripping Faucets. You might think of a dripping faucet as a minor inconvenience, but it can cause bigger problems if you don’t fix it immediately. Not to mention that you are not only wasting water, which is a precious resource, but also wasting money on your water bill. Don’t second-guess the reason behind leaky faucets! Better to have a professional team of local plumbers handle it. Leaking Pipes. If you think only old homes and plumbing systems encounter pipe leaks, think again. Even new pipes can leak due to a number of reasons, like too-high water pressure, misaligned pipes, or blockages. To prevent bigger, more costly damage to your home, watch out for the warning signs of leaky pipes like discolouration on your walls and constantly damp or wet spots on the ground, floor, or ceilings. Call your local plumbers to help you fix your pipes. Faulty Water Heating. It can be quite annoying, not to mention shocking, when you step into the shower and instead of a warm or hot stream, you get pelted by cold water instead. If you’re having trouble with your home’s hot water supply, maybe it’s time to have your water heaters checked, and repaired or replaced by qualified professionals. Give your local plumbers a call and have them look over your hot water systems ASAP. The cost of a plumber really depends on the job that needs to be done. The key thing to know is that the sooner you call your plumber, the lower the cost will be. That’s because you will be able to prevent additional issues, like rotted foundations or cracked walls, that add up to the final bill. What’s more, the longer you leave the problem unattended, the more likely it is that you will need emergency plumbing services, which are definitely more expensive. With that being said, the average cost of a local plumber in the Central Coast is from $200 call-out, with a per hour rate of $750 to $225. The cost may already cover the expense of replacement parts, but be sure to ask your plumber just the same so that all details are clear. Local plumbers may also offer you a flat rate depending on the amount of work to be done. This could be your most affordable option if there are multiple issues that need to be addressed with your house’s plumbing system. For all your Central Coast plumbing needs, don’t hesitate to call Wide Plumbing Services. We have a team of professional plumbers ready to assist you at any time, who are continuously training with the latest techniques and up-to-date equipment to deliver high-quality work every time. We also guarantee that our work will last for a long time, giving you true value for money. Wide Plumbing will also provide you with a free and no-obligation estimate so that when you decide to avail of our services, you will know how much you will pay at the outset — no surprise fees, guaranteed! And rest assured that we will ask you first before we proceed with any extra works, because we respect your time, your budget, your family, and your home. Wide Plumbing Services covers all areas in the Central Coast. No matter where you are in Central Coast, we will get there to restore your plumbing to its proper working order! Give us a call at 0419 012 750 or email us at centralwideservices@gmail.com for your enquiries or to request for an estimate. Please find below a complete list of suburbs covered by Wide Plumbing Services.